Let’s face it, you can go just about anywhere in Miami and find a spot for a good party. But sometimes, you just want to get on your chef’s hat, fire up the grill and make some burgers with your favorite people. If you’re specifically looking to throw a BBQ and want to take in some of that sunshine in the Sunshine State, we have three great venue recommendations for you. And if you need a food machine or a bounce house rental in Miami, don’t be afraid to reach out! These three spots were chosen carefully to take into account the overall environment, how well set-up they are to handle large amounts of people, and amenities. Once you’ve scoped out the settings, you’ll want to contact your local party rental in Miami to set you up with all the material and preparations needed. While not big in square feet area, Alice C. Wainwright is a fantastic spot to throw a barbecue in. The park is right beside the bay and overlooks the sea. Because it’s quaint compared to other parks, you’ll usually have a more serene atmosphere and you can invite a close-knit group to grill with you. Some of the main amenities include two basketball courts and an outdoor gym. There’s plenty of trees close to the entrance of the gym to provide shade and close to the sea, there are a few shelters to properly set up your barbecue. You’ll encounter a few runners and bikers as the park is popular for those activities but for the most part, you’ll be left alone. Parking is fairly limited so you’ll want to set up early, but the prep is well worth the effort. The area is close to a lot of museums and about a 10 minute drive from Brickell if you’re looking for something to do right after. 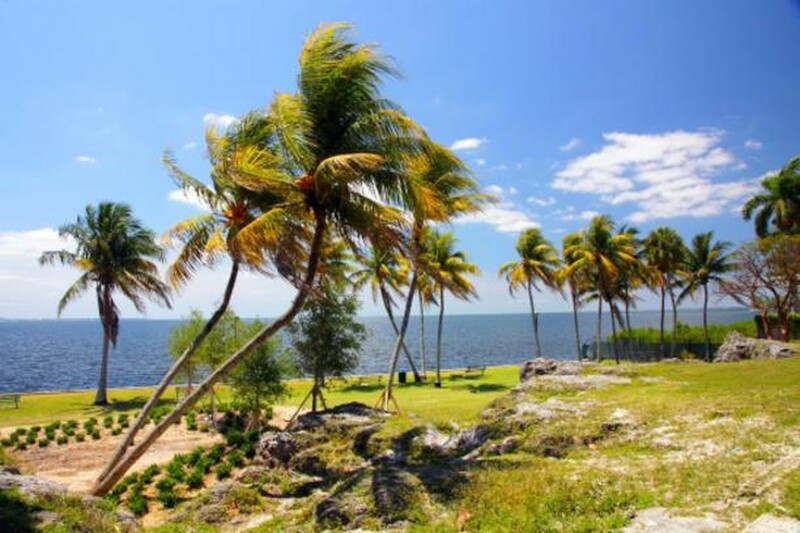 Just in sheer volume in both area distance and things to do, Oleta River State Park is one of the best options in South Florida for a fun barbecue. With plenty of picnic tables and grills, Oleta State Park is built for a big barbecue. They have one large picnic pavilion (with electricity) and eight medium pavilions that can be rented for a fee. Visitors can rent kayak and canoes in case they want to get a little more panoramic before or after they get their eats on. They also have plenty of walking and biking trails if you’re trying to burn some calories after that double cheeseburger you ate (we won’t tell!). 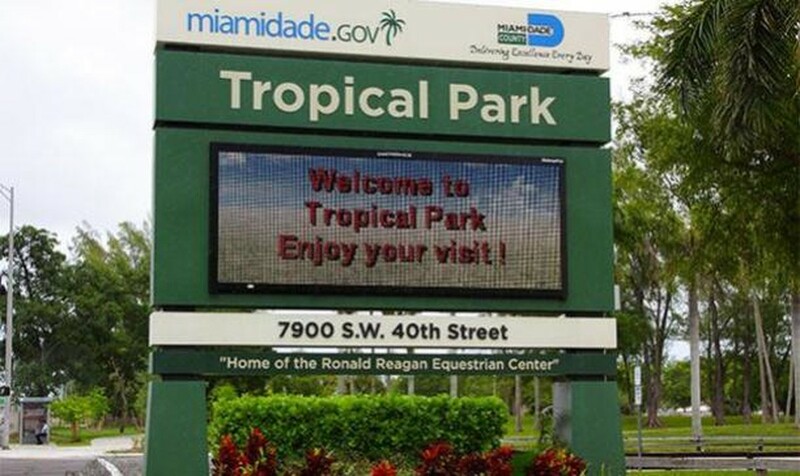 At the north end of the park, along the Oleta River, there are plenty of wonderful mangrove forest preserves, native South Florida plants and much more wildlife. If you were to plan your barbecue, you definitely wouldn’t be bored that’s for sure! 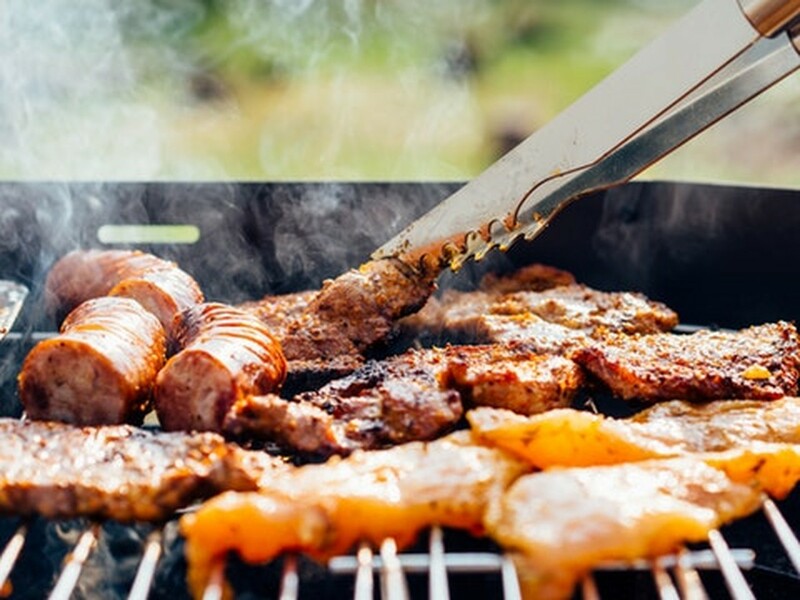 Some of you might know this spot best as the setting for the wildly popular Santa’s Enchanted Forest that’s around every winter, but Tropical Park is a prime spot for grilling it up with your friends and family. This park, located alongside Bird Road, is quite spacious and great for holding large gatherings. Bring out super soakers and water balloons because you’re going to be doing a lot of running around. With many pavilions and grills set up all around the park, you won’t have to fight for a spot although it never hurts to get there early just to find a good area close to all the things you’d like to do. In addition to bike and walk paths, there are plenty of courts and fields to get some competitive games in as well as a fitness center and boxing center. In addition, there’s an equestrian center where the park holds many horse shows every year, as well as a dog park to have your pups frolic in. Planning a BBQ can be a cumbersome task but in the end, nothing can compete with a well-planned and well-executed grill session! IWe’re lucky to be in a city as beautiful as Miami that has spring weather all year around. Make sure to take advantage by visiting one of the wonderful parks we suggested!